Lecturer, Dept. of Homoeopathic Materia Medica. Dr. A.T. Senthil Kumar, lecturer, Vinayaga Mission’s Homoeopathy Medical College, Salem is a reputed academician and practitioner. Here he presents the vector prevention for Chikun gunya fever. The causative agent of Chikungunya fever, a rare form of viral fever was 1st isolated in Tanzania in 1952. It is caused by Arbo viruses mainly due to Alpha viruses. The infective female Aedes Egypti mosquito transmits the disease from one person to another. Chikungunya fever has been prevalent in Africa. Chikungunya is a native African word for the disease in which the patient lies “doubled-up” due to severe joint pains. The female mosquito lays eggs in artificial accumulations of water like overhead tanks, flower vases, rubber tyres, metal drum, shallow wells, sewage disposal etc., in and around homes. The male mosquitoes never bite, they subsist on plant juices. The adult females require a blood meal, once in 2-3 days, for the development of eggs. The females bite chiefly during the daytime (mid morning peak biting time: 0800-1300 hours and mid-afternoon peak biting time: 1500-1700 hours). Persons who stay indoors during the daytime are vulnerable to mosquito bites since female Aedes mosquitoes prefer to rest indoors in dark places. At household level : Drying out all water containers on a fixed day, each week eliminates mosquito breeding. Removal of junk prevents accumulation of water during rains. Fitting lids and screens at all openings in water containers will deny access of the female mosquito to water. At community level : When applied on collections of stagnant water, mineral oils (diesel, kerosene, used engine oil, etc.) spread and form a thin film, which cuts off the air supply and suffocates the larvae and pupae. However, mineral oils make water unfit for drinking and may be lethal to other aquatic life. Many larvicides (chemicals that kill mosquito larvae) are available. Screening of windows and doors with metal gauze meshes prevents entry of adult mosquitoes into human dwellings. 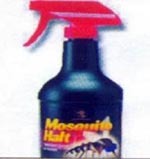 Repellents are commercially available as creams or lotions for application on the skin of exposed areas of the body. Repellent-impregnated coils, liquids or mats slowly vaporize the chemical. Rural communities traditionally use the smoke from dried twigs and leaves of the ‘neem’ tree as a mosquito repellent. Currently, control of Aedes egypti mosquitoes is the only available modality for preventing Chikungunya fever since no preventive vaccine or medication is available so far. Polyporus pinicola 30 – I have used frequently for Chikungunya fever with Headache and joint pain in wrist joint, knee joint and ankle joint it gives a good result and I have used Eupatorium perfoliatum, Rhustox, Variolinium, Thuja, Bryonia and Apis. mel, in few cases of Chikungunya.